You speak to me of faith and the church you attend. The most important faith will be the way you feel about it within you. Don’t ever let anyone tell you that it is too unsophisticated to think about such things. For it is the very basis on which you draw your breath. Without faith there’s no hope. The most beautiful thing about life is that we can begin it anew each day. We need to forget every unpleasant thing that has ever happened to us, every shallow thing that has no meaning, every unkind word or deed or thought and start all over again. And the only possible way to do it is by faith. Faith in yourself, faith in others, faith in God, and faith that right will win. And facetiously stated, “Them that has, gits.” If you have a little faith, it will attract more – if you know about it within you. Posted on February 7, 2013 by ladyoftheabyssPosted in Articles, Daily PostsTagged Catholicism, Christianity, Denominations, God, James Joyce, Joyce, Religion and Spirituality, Think on These Things. Everything on earth has a purpose and is designed special. No two things are created identical. Sometimes in our minds we have a picture of how things should be, and often what we see is different from what they really are. When this happens we often want to control how things are, making them act or behave according to our picture. We need to leave things alone. God is running all things. How do we do this? In out minds we tell ourselves to love all things and respect all things just as they are. Accept what we cannot change. Posted on February 7, 2013 by ladyoftheabyssPosted in Articles, Daily PostsTagged Alternative, Elder, God, Great Spirit, Health, Meditation, Shopping, Summer camp. Always remember that certain circumstances are not ours to alter. We make the most of them and go on. We can only be examples, never controllers of other people’s lives, other peoples children, other people’s circumstances. Some would have us believe we contribute to harsh events by doing nothing. But some of the best work, some of the deepest caring and doing is not physically evident in the beginning. Help of any kind must be wanted and recognized before it can do any good. Too much help where it is not appreciated can make even a good person helpless. We have to be wise in our giving, and particularly wise in what we withhold, because it may be what we withhold helps the most. Posted on February 7, 2013 by ladyoftheabyssPosted in Articles, Daily PostsTagged Black Elk, Donald Trump, Glenfiddich, Great Spirit, National Institute of Mental Health, Scottish people, United States, William Grant & Sons. There are a thousand ways you can talk yourself out of taking action. Yet there is just one way to truly move forward, and that is to go ahead and take action. It’s great to be smart, informed, and thoughtful. It’s not that great to think things through so much and to second-guess yourself so much that you never get anything done. You can find plenty of ways to justify your procrastination. Yet even if it’s perfectly reasonable and understandable, it’s still procrastination. The secret to moving forward is not found in some clever technique. The secret to moving forward is to get up and go, get up and do, get up and create value. Be smart, but don’t be so focused on being smart that you fail to put your wisdom and intelligence to good, productive use. Be smart, and then act smart, and follow through on your brilliant thinking. Instead of just thinking about it and eventually letting the thought die, get up and do it. Put your thoughts into action and transform them into solid, lasting value. Posted on February 7, 2013 by ladyoftheabyssPosted in Articles, Daily PostsTagged Anxiety, Autos, Home, Makes and Models, Procrastination, Recreation, Science in Society, Skeptical Inquiry. There was once a time in your life that everything was filled with wonder and hope. Everything was brand new, colorful and the world immense and full of beauty. We were young and innocent. Life was the priceless pearl we discovered by opening the shell. There were Fairy Tales with happy endings where everyone lived happily ever after, and we believed in this possibility. Dandelions were just as lovely as roses and we gathered them as offerings of love to our mothers. We were imaginative; our creative spark took us anywhere we wished to be. Strangers were exciting and mysterious, but were not to be feared. Instead they were heroes with make believe talents and abilities. Clouds became a never-ending parade of circus animals. Unicorns danced in our dreams. We were open to possibilities. We could be anything we wanted to be. We knew without a doubt that some day we would meet our prince charming. We would live happily ever after. Over time, we were taught to be strong and capable. We were taught that dreams were okay, but we needed to keep our feet on the ground. Our heads were filled with ideals that weren’t our own. We learned to be afraid. The world wasn’t what we imagined, but a place where danger lurked at each corner. Childlike and innocent is the Maiden. Her hopes and dreams are as certain as truth. Loving and gentle, her world is very fragile as her trust rules over fears. She dreams of a loving relationship that will outshine any tale. Yet she blushes easily when admired. She has not experienced the ways of the world. She is the eternal optimist. Her spirit cannot be crushed and hope reigns eternal. The world is enchanting and magickal. She resides within each of us as the innocent one. She dances with us in a field of wildflowers and tumbles to ground next to us in ecstasy. She whispers her secret desires to the winds and they tickle our ears as the find their place in our heart. We are the oysters and she is the pearl contained within. She is the beauty emanating from within our being for the world to see. She is pure, untouched by the harsh reality of the mundane world. I can see her as if standing before me, her long hair flowing about her as she dances with the Fae in a circle beneath the crescent moon. Her graceful, lithe body moves gently in the rhythm of lunar energies. Her spirit glows, the radiant light emanating from her heart. Her long flowing gown cannot hide the young woman’s frame beneath. Her laughter is like chimes in my ears. Her smile lights the universe. Growing in strength and brightness each night, the Maiden, known as Diana and Artemis in the Mediterranean area, is usually depicted carrying a bow and quiver. She is the first aspect of the triple Goddess. Sometimes called the virgin or huntress, she represents the spring of the year, the dawn, fresh beginnings of all life, the repeating cycle of birth and rebirth, the waxing moon and the crescent moon, enchantment and seduction. She shows the way through the inner labyrinth to the divine center where the greatest of spiritual mysteries lie. She is matter and energy held in suspension until the right time arrives. She is a shape shifting Goddess who drives a chariot pulled by silver stags. She helps women who are threatened or harassed by men. She rules over animals, singing, enchantment, psychic power, fertility, purification, magic, sports, mental healing, dance, forests, and healing. She carries the seeds of all potential: anything is possible and all possibilities are within her. She does not limit herself by the needs or beliefs of others. She is in love with the mystery of life. The Maiden represents expansion, the female principle, and promise of new beginnings, youth, and excitement. The Maiden is associated with the colors white, light pink and light yellow. She symbolizes youth and anticipation of life. Associated with purity and nature, She is usually seen in the company of animals. In the aspect of the Maiden we see the world with child-like wonder, and also huntress and warrior, as Athena and Artemis are known to be. There is nothing like being pregnant. When I was pregnant with my daughter I was happier than I had ever been in my life. Knowing that a life was growing inside me was amazing. I felt more alive than ever before. I could not wait to hold this little miracle of love. Okay, there are times where you are so sick you want to die. When the baby decides to try to use your rib cage to score a touchdown it doesn’t feel great. You have weird cravings for food. You are swollen and can’t see your toes and feel like a blimp that swallowed a blimp. When a child is born, we always want to count fingers and toes and to know once and for all, girl or boy. We have such great expectations for this tiny bundle of joy. Perhaps he will be president. Perhaps she will be a ballerina. We cannot wait to dress them, to show them off and to take pictures of everything from their first diaper change to the first smile. Fear sets in once you get home. You call the doctor often. Is this the best formula? Are these the best diapers? She/He spit up, is she sick? Do I need to bring the baby to the hospital! The baby gets colicky and cries all the time. You can’t sleep because you worry excessively. You can’t sleep because the baby is crying. Is she hungry or sick? You have to go check and make sure she is breathing! Our maternal, protective instinct has kicked into high gear. Now, imagine for a moment, we may have a few children; some families have 13 or more, think how many the Goddess has! We are all children of the Goddess, no matter our age. Our child learns to speak and says Mama so many times we want to pull our heads off! Imagine all of the voices and prayers going out at any given time to our Mother, the Goddess. Our Goddess Mother has our best interest at heart. She wants for us to be happy and healthy. She never turns away because she is tired and wants some peace and quit. She loves us unconditionally. She understands our hopes and desires and dreams. She lives within our hearts. You can lean on her when you need strength and patience with your little one. You can place your child and yourself within the love and light of the Great Mother and trust that she will always be there for you. The second Goddess aspect is the Mother, the archetype involved in active creation. She represents the summer, blazing noon, reproduction and fertility, the ripeness of life, the Full Moon, and the high point in all cycles. Her traditional color is red, the color of blood and of life itself. She is the great teacher of the Mysteries. The Romans named her Ceres and the Greeks named her Demeter. A virgin of the oldest sense, independent and unmarried, this Goddess gives birth to a son. Called the Grain Mother, the Eternal Mother, and the Sorrowing Mother, she is the mother of Persephone, who wed the lord of the Underworld. Her power extends over protection of women, crops, initiation, renewal, fertility, civilization, law, motherhood, marriage, and higher magic. The mother devotes herself to “other”: people and things outside of herself. Though the archetype of the mother often makes one think of a woman giving birth to or devoting herself to her children and family, here we are speaking of all of the possibilities of creation. She is a selfless soul whose devotion and love are unconditional. It is here that responsibility and commitment is established. Some of the symbols of the goddess in the Mother aspect include the serpent, the poppy, and the symbol of Underworld Goddesses, the torch. The Mother also represents fulfillment, stability, and power. The color associated with the Mother is red, the color of blood and the life force, and green, a fertile color. In ancient societies, the pregnant Mother was a metaphor for the fertile fields that sustained the people of the land. The menstrual blood of the Mother has been associated with magick and ritual since Paleolithic times and was thought to have power for healing and fertility. The Mother is a pillar of grace under pressure. She is capable, strong, and loving. She smiles as the young child plays, joy flooding her heart as her offspring giggles in delight at some new discovery. She keeps the fear and panic hidden when we are sick, be it in body or in spirit. She continually prays for us. She wipes the tears from our eyes, chases us down to give us medicine, and helps to build a pretend fort with blankets. She watches you while you are sleeping and love fills her heart. She is like a tree in that she is able to bend, but is has a strong foundation supporting her. Climb into the Mothers arms and be nurtured. Within her embrace we are ever safe and loved. Share your dreams with her. She will do all things possible to help you to achieve them and more. We have all seen the little old woman, her hair thin and sparse, her skin aged with wrinkles, her smile crooked as her false teeth lay in a glass to the side. Many associate this image with the Crone. Her hands tremble as she brings food to her mouth. She looks like a baby with food dripping down her chin. Time isn’t always kind to us in that our bodies betray us. But if you were to take some time with this woman, you would find a font of wisdom, a history of love, of sorrow, of experience. Her spirit still shines. Her face is soft and compassion flows from her heart. Though she appears weak, her essence is strong and sure. She understands your dreams and desires. She has shared them and she has experienced them. She knows what is important in life. She no longer rushes about headstrong seeking. She delights in the memories of all she has seen and known. Some think she has endured. The truth is, she has lived. That is what is important, the living and loving. Pain causes a momentary tremor in her voice. She will tell you truths. Will you be willing to listen, to hear her words? Can you sit and hold her hand and experience the journey she is willing to share with you? Can you look at her with respect? Can you look beyond the fears of your body aging? I see my grandmother, gentle and soft spoken, holding me close in her lap. Beside her lays some yarn and knitting needles. She always has time for me and my questions. She receives great joy in watching the young ones at play and reminiscing about her life as the children begin their lives. There is depth to her heart and eyes that show the years of learning the importance of compassion. There is understanding well beyond that of the dreamer’s hopes. She moves a little slower now and can no longer bare children. In this day and time, people tend to cast the elderly aside. This is heartbreaking. There is so much love and wisdom they have to share. It may be a time of rest, but it isn’t a time to be tossed away. They should not have to live through memories, as they are still able to give so much to this world! Most cultures cherished their grandmothers and counted them as wise ones once upon a time. They had seen things and done things to survive in new worlds. Once upon a time they were maidens. Once upon a time they were mothers. They know the mysteries of womanhood. As I entered into the stage of the Crone, I realized that all I have seen and done helped me to become whom I am today. I am a little slower, but I have more patience, more love, and more compassion. I know there are times to sit quietly and say nothing. I know there are times I should offer my wisdom. What others think of me isn’t important, as I know self-love. I know how precious life and time are. I have found that worry does not save me from sorrow or pain. I have found that life isn’t about satisfying the ego. Life is about acknowledging the blessings we have received from joy and from pain, from fear and from faith. I realize that I cannot change the past but that what I have learned from it provides comfort. She is a fount of wisdom, untapped by a modern world. Not because she isn’t willing to share her wisdom, but because we are so self-involved. I cry for the Crone because so many have forgotten her value. The Crone, also called the Dark Mother, the Old Wise One, or the hag, represents winter, the night, the universal abyss where life rests before rebirth, the gateway to death, reincarnation, the waning moon and the New Moon, and the deepest of Mysteries and prophecies. She is the third aspect of the Triple Goddess. Her traditional color is black and sometimes the deepest of purples or dark blue. She is the initiator into the Mysteries. This aspect symbolizes death and dissolution. Everything in the universe has a life cycle, at the end of which they malfunction, decay, and transform into a different set of materials, elements that are recycled and reformed into something new. The souls of humans are recycled by the Crone and her cauldron, into a new incarnation. The embodiment of the Crone, Hecate, Queen of the world of spirits, Patron of Priestesses, and the Goddess of Witchcraft, has keys and cauldrons as her symbols. She has power over enchantments, averting evil, dark magic, riches, wisdom, transformation, purification, limits, incantations, and renewal. She is not detached from the world; just not involved in the ways she was before. She can be completely honest because she has nothing to lose. She holds the wisdom, teaches and shares stories with those who will listen. The crone was once revered as an old woman embodying wisdom and for her knowledge of the truth of cyclic existence. Crones cared for the dying and were spiritual midwives at the end of life, the link in the cycle of death and rebirth. They were known as healers, teachers, way-showers, and bearers of sacred power. They knew the mysteries, were mediators between the world of spirit and the world of form. In pre-patriarchal societies, women’s wisdom held healing power. The crone wisdom was the most potent of all. For nearly thirty thousand years, old women were strong, powerful sources of wisdom. Crones were respected and honored in their communities. Our appearance may show a lot about our lives. Weathered hands showing our hard work. Our skin weathered like tanned hides show we spent a lot of time outdoors. These outward appearances don’t begin to show the person beneath the surface. They don’t show the entire journey. Look beyond the obvious and you will discover the treasures of life, the joy, the sorrow, all blessings, to the Crone. Don’t sorrow for her because her time draws nigh upon this plane. Rejoice with her. Embrace what will come, accept what has been, and dare to experience all. Posted on February 7, 2013 by ladyoftheabyssPosted in Articles, Daily PostsTagged Artemis, Fairy tale, Goddess, Great Comet, Greek, Maiden, Triple Goddess, Virginity. As I wander through the beloved woods, ever so grounded and connected to Spirit, I begin to think of the fear of witchcraft. Such a fear was started by a religious belief system seeking power and control over others. And through the last two centuries this baseless fear has resonated like a war drum through generations of folks. Folks who dared to walk a path that began with the dawn of humankind have lost their homes, their belongings and in many a case, their very lives. And so I pause beside a woodland stream, as I wonder why. Are we not all seekers of the light? Do we not all seek the answers to the Great Mysteries within our own beliefs? Are not all beliefs systems, whether religious and/or spiritual simply a possibility to achieving one’s afterlife goals? For no religion and/or spiritual path has a definitive answer to what our chosen Deity has in mind as far as the Grand scheme of things. As I watch the rivulets of water wash over this streambed strewn with multi-colored pebbles, I think of how generations of folks have come and gone, much like how each rivulet passes down stream. And yet such misguided beliefs have remained in place like the pebbles cascaded across the bed of this secluded stream. Unmoved though a new generation of water sweeps over them. And then I begin to think that if we do not have the answers, why one would want to be locked into a strict dogma that filters out any new and fresh ideas about spiritual ascension. Seeking answers to such a grand mystery is an on going process. Choosing to be stagnant in one’s spiritual progression leads me to think that perhaps such a belief system it’s not about spiritual growth to begin with. And so why the hate mongering and the overwhelming fear? If one is secure within their beliefs, shouldn’t there be a tendency to at least listen to others even if one chooses not to accept what one hears from others. This is known as communication. But when there is no such open communication, it leads me to wonder from where the insecurities that have spanned so many decades are originating. For as a witch, I offer no harm to anyone unless it is in self-defense. I seek not to convince others of my beliefs; for such beliefs are a mark of my individuality and are constantly undergoing changes as new revelations becomes available. Does such institutional fear come from the knowledge that a witch connects with Mother Earth as a way of life? I would ask why those who carry such fear in their hearts do not themselves utilize such a rich resource of knowledge. For such knowledge is there for all. Witches are chastised and have even been put to death for connecting with the spirit realm, and I wonder why. Do we not all have a spirit within us and will we not all revert to spirit when our time in this realm comes to a close? What is there to fear? Witches are disavowed for drawing upon the energy that is all about us and manifesting this energy into a tangible result. Do not all religions and/or spiritual beliefs follow similar patterns though they may use different words and actions to initiate such workings? Is not such a divine gift available openly and freely to all who seek such inherent abilities? Does Deity select but one belief system and cater to just those thoughts? Or does Deity transcend such narrow parameters and in fact respond to all who seek regardless of which path they follow? So why manifest such lies and unfounded hatred? As this stream in the middle of the woods flows over the bed of pebbles, does it really care if some pebbles are red, or brown, or black? Or does it just want to be free to follow its destiny without a barrier created by humans. Are humans any less worthy of such a freedom within their beliefs? As I think these thoughts, tears run down my cheeks. As a witch I seek to stay connected with the old ways. Ways that have served humankind for so long. Ways that open doors to those places that are now shrouded in the mists of ignorance. Ways that allow me to utilize introspection in an effort to see my own faults and thus gives me the strength to address them in a positive manner. Are such practices so terrible that they deserve the scorn of so many who do not attempt to try and understand? As a witch, I too walk about in a state of fear. A fear based upon the realities of our society. There is the fear that I may lose my means of employment, if my spiritual path comes to light. This is an established fear that has come to pass at one point in my life. There is the fear that bodily harm could come to me and my loved ones by those who blindly wallow in ignorance, simply because I choose to believe as an individual. This is yet another bitter experience that has raised its ugly head at one point in my life. And once again, I have to ask why. Why can we not all accept the fact that we are seekers on the path of life? And as it is with such travelers, no one person has all of the answers. As I stand here on this cold autumn morning and watch this small stream flow by, I know within my heart that in time this stream will wear down the pebbles that it flows over. And that in time new pebbles will take their place. As a witch and as a human, I can only hope that such a transition will take place in the river of life and that the fear and the ignorance will in time be worn down as well. I desire that which I wish for others, the right to follow my path without obstructions being placed before me by other humans. I seek to not judge others nor do I seek to be judged. Posted on February 7, 2013 by ladyoftheabyssPosted in Articles, Daily PostsTagged Deity. The Greeks made a distinction between theurgy and thaumaturgy. Theurgy literally means “God working” and refers to spiritual work that leads one into illumination or gnosis. Thaumaturgy means, “wonder working” and refers to the conjuration of spirits, casting of spells, blessing, cursing, curing and harming through practical magick. The balance between these two aspects of the craft has been an issue since the emergence of Wicca in the 1950’s. Does overshadow religion? This debate has been heating up in online and blogs recently due to a story on beliefnet.com by Carl McColman entitled Is Wicca Under a Spell, which deals with both sides of the issue. Many people in the Pagan community that I have spoken with feel that magick and sorcery do the religious aspects of Wicca no good and should be downplayed. Some I have spoken to have no interest in spell-casting at all, or perhaps don’t even believe in practical magick, and thus see this aspect of the craft as an obstacle to Wicca taking its place as a major Western religion. I would like to take this opportunity to present the opposing argument. 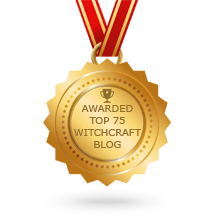 10% Neo-Pagan – Revivalist traditions, including Wicca. 70% Neo-Classical – Those who practice folk magick with mixed Christian and Pagan roots without regard to Witchcraft as a religion. 1-2% Classical village healers who practice completely non-religious folk magick. 1-2% Neo-Gothic – Practitioners of Satanism which is based on the Gothic Witchcraft of the Witch Hysteria Era. 1-2% Immigrant Traditions: Pow-wow etc. 10% Practitioners of Vodou, Santeria, etc. For example one of my ancestors was allegedly a “water witch” who told people where to dig wells. While in Venice I was offered a charm to obtain by a Witch. In both of these cases the Witch in question was a devout Christian. According to this breakdown Neo-Paganism and Wicca account for only %10 of American Witches but even within that scope there are many Witchcraft traditions that make it very clear that they are not Wiccan: The Feri Tradition, The Clan of Tubal Cain and the Cultus Sabbati all represent traditions of the craft that have non-Gardnerian roots, and do not fall under the umbrella of Wicca. I have an enormous respect for Wicca but I am a Witch, not a Wiccan. I object when the terms are used interchangeably and when Wicca attempts to speak for all Witchcraft. I got involved with the craft during the mid 80’s in North Jersey, just outside of Manhattan. Paul Huson’s Mastering Witchcraft, Herman Slater’s Magickal Formularies, and the little spell books from Original Publications had much more of an influence on my Witchcraft than Scott Cunningham or Ray Buckland. This is not to say that I am not religious: I am. But I learned to use practical magick at an early age and was successful at it. I have traveled all over the world to learn traditional magickal techniques: from New Orleans, to Europe, to Nepal. Today I do magick professionally and consider traditional techniques of spell-working to be just as important as religious and spiritual traditions. I would argue spell-casting is just as sacred as Wicca and Neo-Paganism and far more ancient and widespread a tradition. So where McColman asks the question: “As publishers produce more books about casting spells, is the spiritual message of Witchcraft getting lost?” I ask the opposite: Is the popular influence of Wicca and Neo-Paganism negatively impacting the tradition of spell casting, or if you will, the Witches’ Craft? The Wiccan Rede provides a very strong ethical principle for Witches to follow. As such, any mention of curses, jinxes, or harmful magick is frowned upon by the Pagan press. Some take this even further and extend it to spells that influence another’s will or reverse a curse back upon its sender. 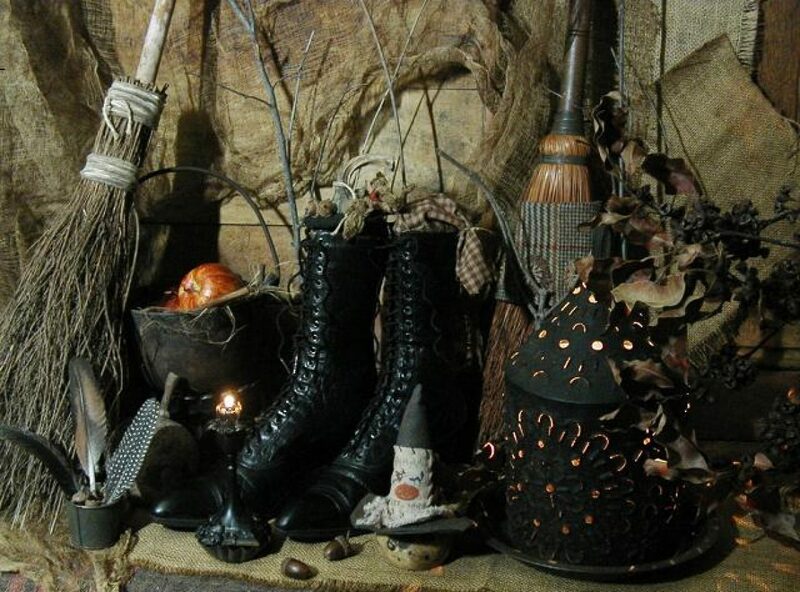 Very often in modern books I read “A REAL WITCH would never do harmful or coercive magick…” While I can applaud the good intent of these writers, and understand that authors are trying to paint a picture of Wicca that is acceptable to mainstream America, the fact is that this type of magick IS part of a “REAL” Witch’s repertoire. From the lead curse tablets of Greece, to the Gospel of Aradia, to more modern Witches like Sibyl Leek and Andrew Chumbley, cursing and coercion have always been a part of the Craft. When my teacher taught me my first pieces of harmful magick, I was surprised. I had no interest in harming anyone but she told me, “You have to learn how to harm, in order to learn how to heal. The power comes hand-in-hand.” Apart from that lesson, life has taught me that a curse can be justified, and that in rare instances it can be down right compassionate. It is the use of knowledge that determines whether it is good or evil, not the knowledge itself. To my mind allowing Wicca’s religious stance to determine what gets printed about traditional Witchcraft is wrong and pollutes the baraka of an ancient art. For instance Paul Huson’s book Mastering Witchcraft is one of the only early books of the craft that deals with the subject of vengeance and attack, and was given a horrible reputation in the Pagan community because of it. I have been to stores that refused to even carry it. One that did felt the need to put disclaimers all over it stating that it was “Not Real Witchcraft.” The book didn’t endorse vengeance and attack. It merely tried to present the full scope of the art it claimed to teach. In doing so, it put the preceding chapter on counter-magic and protection into great context. If anything, the craft teaches personal responsibility. Why then can we not trust readers to make their own ethical decisions about the craft? A proficient Witch learns to substitute items that can’t be gotten in time. We also learn the magics of breath, gaze, gesture and incantation that can be cast without materials of any type whatsoever. While I agree that not all the power is in “the stuff, ” there certainly is quite a bit more than many modern writers would have you think. Many modern books make the case that “it’s all in your mind” and that the materials are just props with no real power of their own. This to me is disrespectful to the Witches and sorcerers that painstakingly wrote down formularies and philtres over the centuries. If this was really the case, why bother getting the ingredients right at all? Why not just write down “Devils Shoe Strings” on nine pieces of paper and use them instead of the herb? Try it and see what kind of results you get. Having lived in Nepal and worked with various Ngakpas (sorcerers) and Jankris (shaman) , I can tell you that they take their ingredients very seriously. I can say the same about the Bokors and Root Doctors of New Orleans. Flying ointment made from mugwort in a carrier oil may be safer, but it is not just as good as one made from hemlock, belladonna, and other baneful herbs carefully mixed and applied. A stone with a hole drilled in it will not work as well as a real hagstone formed by running water. A twig from the backyard will not provide as good a basis for an influence charm as a whole High John root. These things have a tradition that goes back hundred of years and should not be cast aside so easily. There are many Pagans and Wiccans that have no interest, belief in, or talent for spell-casting. That’s okay. I don’t believe that Witchcraft was ever meant to be a widespread practice. It may be elitist of me to suggest it, but I don’t think that everyone can cast an effective spell. Some can, some can’t. What we have today however are people drawn to the purely religious and spiritual aspects of Neo-Paganism and mistaking it for Witchcraft. They need to find a way to explain the place of spell-casting in a modern world, so its gets explained away in psycho-babble. Many teachers today will explain that spells don’t actually offer outer change, only inner change. A spell to help you get a job will perhaps build your confidence but not affect the mind of the interviewer. The claim is that the magick is providing mystery, wonder, and self-affirmation. These are all good things, but it is clear that Witches throughout history did not feel this way about their craft, and neither do I! I and many others know from experience that a well placed and executed spell can alter future events, affect the mind and spirit of a target or a client, and generally deliver the goods that are traditionally attributed to the craft. The effectiveness of this depends on the ability of the practitioner, knowledge of the art, and skillful application of that power and knowledge. Some people have a talent for practical magic. Some do not. Not so long ago, if you didn’t have a gift or calling for Witchcraft, you would not have been drawn to it. Now that it has become a popular subculture and religion, I wonder if people that don’t have much talent for spell work feel the need to write it off? To be clear I don’t think that you need to practice spellcraft to be a Pagan, or even a Wiccan, but that doesn’t mean we should reduce the classical art of Witchcraft to therapeutic drama. McColman quotes writer Laura LaVoie as saying: “One of my fears with the spell books is that they send the wrong message to those looking for answers on how to be Pagan.” I have heard her fear echoed often in the Pagan community but very few consider the other side of the coin: Neo-Pagans can sometimes send the wrong message to those that just want to practice Witchcraft. It’s pretty easy to tell whether a book is religious or is a collection of spells. I find it difficult to believe that someone looking to get a start in a new religion would pick up an Encyclopedia of Spells. On the other hand I do know of many people who came to a spiritual path, Wiccan or otherwise, through a desire to cast spells that opened up deeper questions. I have what I consider to be a very rigorous and serious spiritual practice. I also am a professional Occultist who does readings and magick for pay. If Wicca doesn’t want to be confused with spell-casting, then they should stop using the term Witchcraft and Wicca interchangeably. Wicca represents one tradition of Witchcraft, not the whole practice. There is room for both spells and Spirit. Keep the spell books coming! Keep the Pagan books coming! Keep the Wiccan books coming! Let them all get better researched and lead people deeper into the mysteries, from whatever angle of approach they choose. May the Blessing, Cursing, and Cunning Be! McColman, Carl, , beliefnet.com, 2005. Posted on February 7, 2013 by ladyoftheabyssPosted in Articles, Daily PostsTagged Herman Slater, Mastering Witchcraft, New Orleans, Pagan, Paganism, Wicca, Wiccan Rede, Witchcraft. These days I find myself in periods of reflection on my experiences in the Craft and the ways that is has affected my personal views on life. As part of this reflection, I often wonder in what direction the Craft is now undertaking. My girlfriend of many years, who is a Druid, and who has spent hours engaged in discussions with the old guy, will occasionally tell me, “you just aren’t right” before flashing a huge grin. When she says this I feel honored because it confirms that I have walked through this life as an individual. And it is has been the experiences of being involved in traditional Witchcraft that has made such a life experience possible. But now I find myself in a quandary as to my personal views of witchcraft. When I was growing up on a farm in Tennessee in the late 1950’s and early 1960’s and later in suburbia in MD, our family quietly practiced the Craft as we knew it by way of our Irish heritage and the Appalachia influence that we grew up around. Outwardly we were like any other family at the time; just our beliefs were a bit different from some. And though we referred to folks outside of our personal family as “the others” we were never obvious about such beliefs and so folks around us in the community had no clue. In fact, only one outsider, a Mrs. Bowie, who was a retired minister of a mystical Christian church and close friend of my grandmother Ina and a family from Ohio that used to visit my grandparents when we lived in MD, were the only non-family members that were aware of our ways. Absolutely not, we were just as dysfunctional in some ways as any other family from that era. However, we never believed in publicity as far as our particular beliefs in the Craft. This was not due to fear of any public backlash or what have you; it was just our way to be private about our family ways. In those days, folks believed that went on behind closed doors stayed behind those same doors. When my mother branched off into a coven separate from our immediate family at the beginning of 1970, a coven whose focus was primarily on Astrology and its influences on life, the ways of silence were such that though I as a teenager was aware of the existence of that coven, I knew next to nothing beyond that tiny morsel of information. Some of you may have met my mother at some point in time for during the 1970’s she performed astrological and Tarot readings for a cruise ship liner that traveled between the coast of Florida and the Bahamas. At any rate, during the mid 1970’s I spent three years in Germany with the military and during that time I was associated with a coven that engaged the path of Hecate and thus would probably be seen as a “dark” coven by Neo pagans today. And yet, though we were very active, we did not seek and in fact went to great pains to avoid publicity. And now I come to my reservations and thus conflicting emotions about the openness if you will of witchcraft in today’s times. During the years that I have mentioned above, privacy was something that was as a natural way of life at the time and was respected as such. I am keenly aware that during these same times, that those of the Wicca were in fact moving in the opposite direction and actively seeking publicity at every opportunity. Beyond this observation I personally have no comment to share about the Wicca during those times, for I am speaking about witchcraft as I know it from my personal experiences and not about the fledgling religion of Wicca. In today’s day and age, with the advent of the Internet where information is readily assessable and where there are now a plethora of Wicca and witchcraft 101 books, it is difficult to find folks who adhere to the tenets of privacy that witchcraft once knew. My personal concerns are that is such openness really a positive step forward in regards to witchcraft? When I examine my personal views of witchcraft, I see a spiritual path that is wide open to “personal” discovery. Nor do I see any valid restrictions on what or how a practitioner of witchcraft may engage in order to arrive at such discoveries. If one sees the need to conjure up a spirit or other entity in an effort to experience such a discovery, then so be it. If one needs to resort to witchcraft to correct a wrong from another, then again, so be it. As a witch, I believe that each of us is an individual and as such I do not believe in Karma, a concept that is foreign to the art of witchcraft. But I do believe in maintaining personal responsibility. As an old school witch, I feel that I know my personal goals and the experiences needed to achieve them far better than any group of folks such as those found within the many religions that make up our world. If I make a mistake than I am the one who has to pay for them. I personally do not believe that a public forum has the right to outline boundaries that defines what steps I am allowed to take to arrive at my experiences in witchcraft. As an individual I do not believe that anyone outside of me has a say on how I personally pursue the path of witchcraft. Again, I am the one that has to answer for any trial and errors that I engage in within the parameters of witchcraft. And yet this is exactly the perception that we are at in today’s Neo pagan community. Witchcraft is now defined (erroneously to my mind) as a religion. And as a religion all of the tenets that were once diametrically opposed to the tenets of witchcraft are now accepted as being the norm. Because of the instantaneous communication of the Internet, folks who engage in witchcraft are cast into a false image of being light and fluffy folks. I personally do not believe in Good and Evil, as these is primarily concepts that originated with the Abrahamic religions. I do believe that there are shades of light and dark, but only in the sense that we need such labels in order to put a sense of understanding on such concepts as they relate to the human experience. And so I have to wonder, if we took the overwhelming desire for publicity that defines the art of witchcraft today, would witchcraft still be defined as it is by today’s standards. Or would the freedoms that were once a tenet of witchcraft, flourish yet once again? And are such modern standards, which in effect are enhanced by way of the Internet, realistic as it pertains to the practice of witchcraft? Massive publicity may bode well for a religion in the sense that it needs such attention in order to boost its membership. But is such publicity really a positive and useful approach to a mystical spiritual path that requires no such membership beyond that of the individual practitioner? Is the personal responsibility that has always been an unavoidable tenet of witchcraft still possible or even a consideration in the concept of witchcraft as it is defined by today’s standards? Has such massive publicity made witchcraft into a completely unrealistic concept in order to be acceptable to today’s society? Has such publicity taken away from the base realities of witchcraft? 1. Your stationery is more cluttered than Warren Beatty’s address book. The letterhead lists a fax number, e-mail address for two on-line services, and your Internet address, which spreads across the breadth of the letterhead and continues to the back. In essence, you have conceded that the first page of any letter you write “is” letterhead. there isn’t one typewriter in your house — only computers with laser printers. surprised or disappointed that you don’t have to explain it. 11. You sign Christmas cards by putting 🙂 next to your signature. are far more clever than :-). feeling compelled to make something up. tree and write a haiku. And don’t use a laptop. Posted on February 7, 2013 by ladyoftheabyssPosted in Articles, Daily PostsTagged Al Gore, Bill Gates, Humor, Humour, IP address, John Grisham, Ross Perot, United States, Warren Beatty.